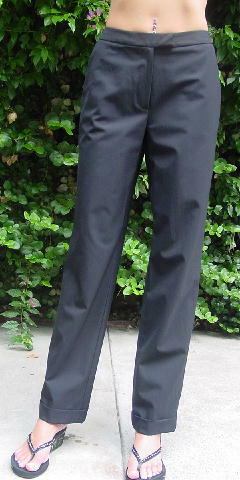 These black 93% rayon and 7% elastan pants were made in the USA by Iris Singer Collection. The 1 1/4" wide waistband has an inner button and hook closure. 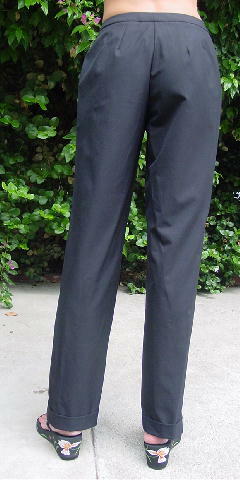 There is a 5 1/2" long zipper fly, front angled slit pockets, and pant leg cuffs. The tag says size 2, but it fits more like a 2/4.